It went by various incarnations, but it was founded as Windtamer by one Gerald Brock and it finally and officially is gone. Windtamer’s successor, Arista Power, filed for bankruptcy in early 2016. See Arista Power files Chapter 7 bankruptcy. It’s hard to imagine that this sad saga of hype and hustle took this long to dissolve. As usual in such events, there’s mud on a lot of faces and no doubt quite a few investors wondering where their money went, including the US Army. 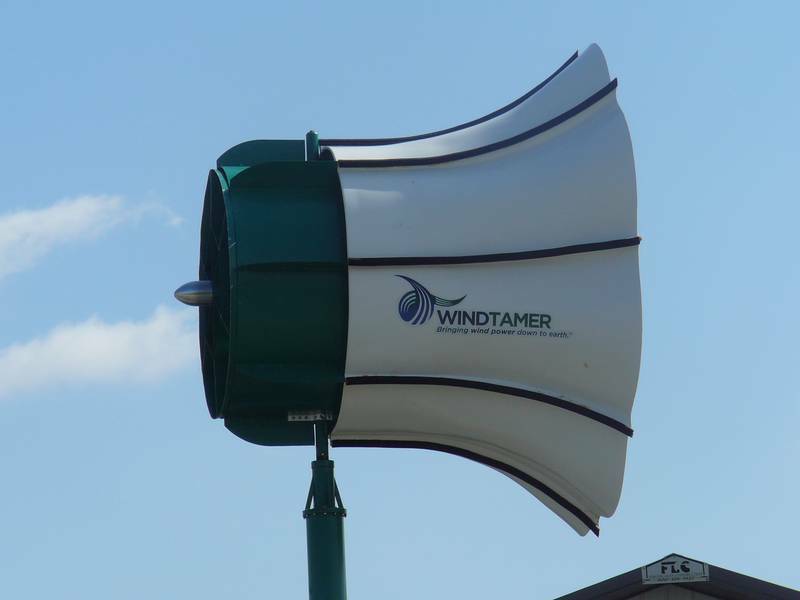 These guys were so bad I reserved a special place for them under Ducted Wind Turbines on my web site: Windtamer. My first entry begins in December 2009. See Windtamer Hype Needs Trimmed: Betz Beaten Yet Again Raises Questions. My last entry is in mid 2013. What was this thing? It was a wind turbine—or so they claimed at any rate—inside a shroud or duct. These devices are also known as diffuser-augmented wind turbines or DAWTs to the cognoscenti. Arista took over Windtamer and soon parted ways with Brock. The self-styled inventor then went on to form Skywolf, an even wackier version of the Windtamer with solar panels for the shroud. Alas, there are still some diehards on line who want to believe the dream. And no doubt there will be more dreamers and charlatans touting ducted turbines to come. As many times as we try to drive a stake through the heart of this idea, it keeps rising from the grave to stalk the land. Note to potential buyers of such contraptions—and there will always someone willing to part with their money for such things. Never, ever, buy a wind turbine in the USA that has not been certified by the Small Wind Certification Council. This is the absolute bare minimum. And, as you can imagine, Windtamer, Skywolf, Arista, or whatever its called now is not certified and never has been.